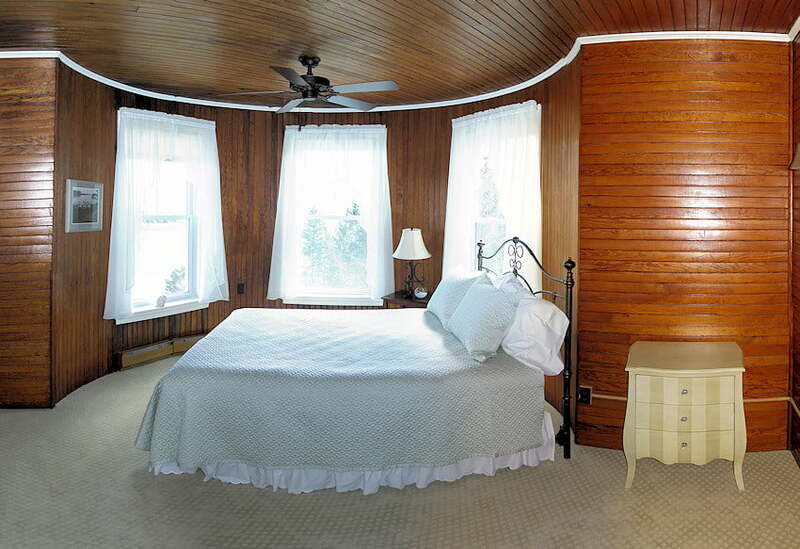 The Breakers is a turret room with natural wood, a queen bed, private bath with tub and shower and an outstanding 270-degree view of ocean and islands through three windows. Even the view from the bathroom is amazing! The Breakers’ room rate includes a continental breakfast for up to two guests. This delicious breakfast is served each morning in Blue, Grey Havens’ signature waterfront restaurant. 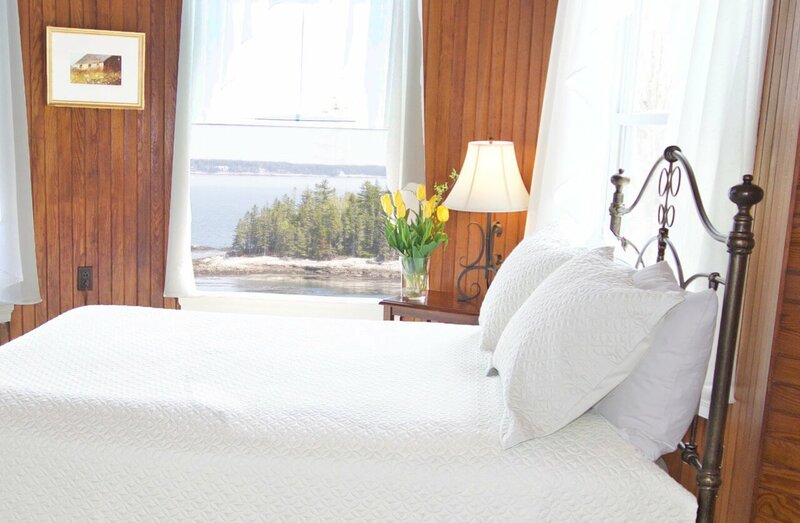 Every Grey Havens guest room is appointed with luxury bedding from Maine’s own Cuddledown and luxury toiletries in the bath. Each room is equipped with an iron, and ironing board. Grey Havens offers hair dryers for use of our guests. Your room is equipped with a Boston Acoustics tabletop sound system with an iPod connection. Complimentary wireless internet access is available for our guests.